Atlanta has always been known for its eclectic style and willingness to push the envelope. Although this creativity can be seen through a variety of mediums, the most intriguing example can be noted in its offbeat yet unique fashion scene, particularly in “streetwear” style. Fly Kix, Peters Street’s signature boutique, is an industry leader in streetwear culture. Nestled in the heart of Castleberry Hill, Fly Kix is found in a niche location that matches their brand. 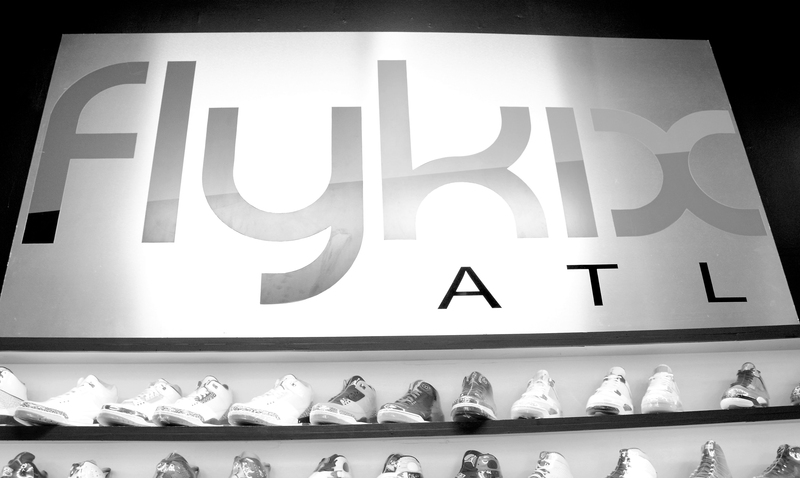 Chris Newton, Buyer and Manager, explains the philosophy behind Fly Kix’s clothing style. Newton has been an employee of Fly Kix for two years, following a nine-month internship as a member of their street team. Now, he has matured and been promoted to “buyer,” a position he takes great pride in. Although Newton mentioned a variety of both mainstream and underground streetwear brands Fly Kix offers, General Manager Sherina Hargrove clarified the history of Fly Kix’s style. She noted that Fly Kix originally didn’t offer many well-known brands. Hargrove also explained why Castleberry Hill is the perfect location for their shop, as well as how the neighborhood has evolved since their opening. Chris Newton, buyer and manager, curates and selects the seasonal clothing pieces featured at Fly Kix boutique. Despite its wide array of shoes, Fly Kix’s name can be a bit misleading; visitors will come surprised to find out that Fly Kix sells more than just sneakers. There is an entire subculture crammed into the store, with different looks to match any style. Newton believes diversity in quality product is what makes Fly Kix unique from other boutiques, and described his personal style. Aside from selling clothes, Fly Kix is also very active in the community. From shoe drives to private listening parties, the shop takes pride in accessibility for all. Due to their accessibility, Fly Kix has a major following not only with the youth, but also with many popular hip-hop artists. Newton chalks it up to being in tune with the culture, and knowing what the people want.